You can learn more about main features of Web GIS in Web GIS. Open Layers tree panel (item 1 in Pic. 3.2.). 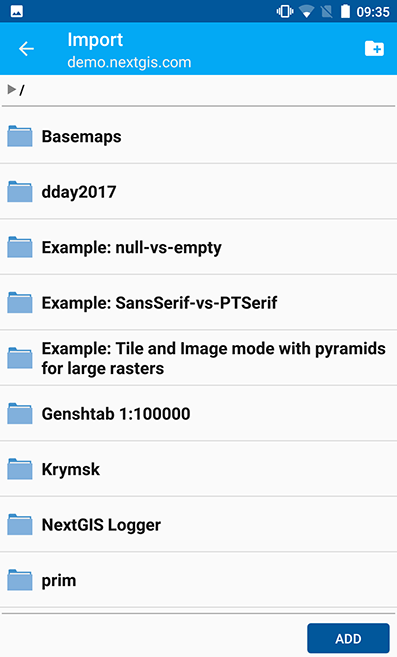 Then tap on “Add geodata” button (item 4 in Pic. 3.3.). 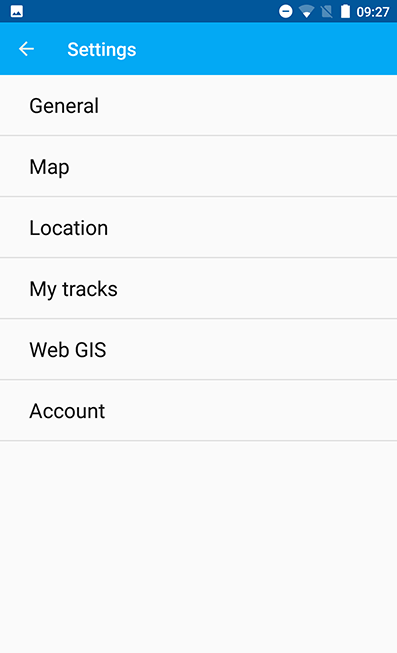 In opened dialogue select “Add Web GIS” (Pic. 3.83.). 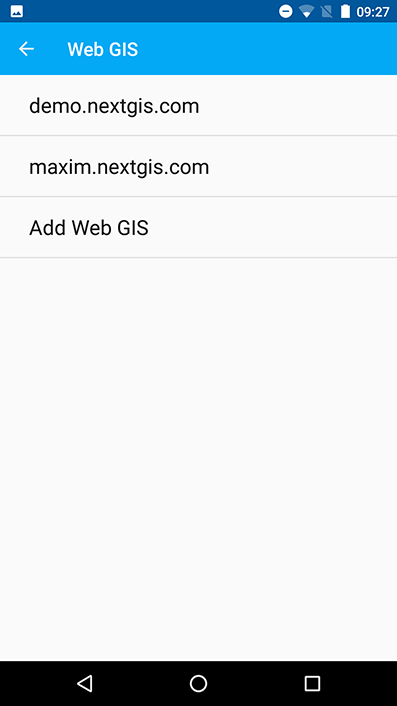 Then fill up your Web GIS domain’s name and password for Web GIS in the form for Web GIS adding and tap “Sign in” button (Pic. 3.84.). Tap contextual menu icon (item 5 in Pic. 3.2.). Select “Web GIS” (Pic. 3.86.). In opened dialogue select “Add Web GIS” (Pic. 3.87.). In opened dialogue select Web GIS (Pic. 3.83.). 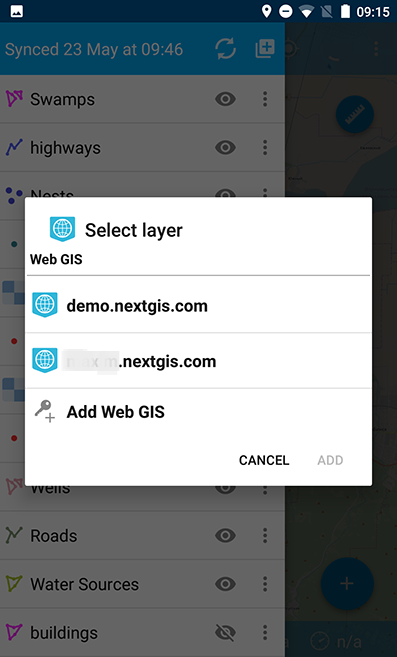 The dialog of layer selection for importing geodata from your Web GIS to NextGIS Mobile will open. 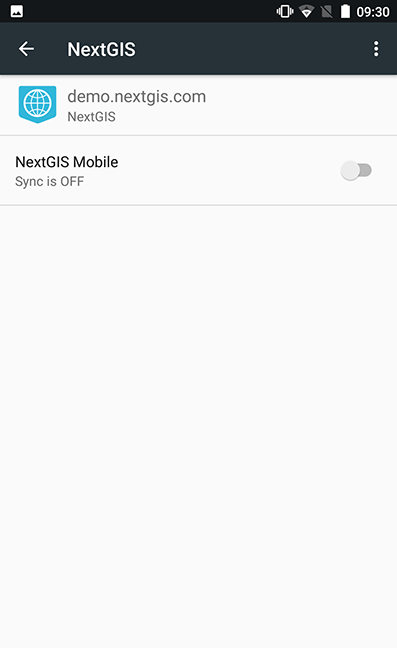 If you have only one Web GIS, the dialog of layer selection for importing geodata from your Web GIS to NextGIS Mobile will open immediately after tapping “Add from Web GIS” button. You can learn more about main features of NextGIS Web in Key features of NextGIS Web. 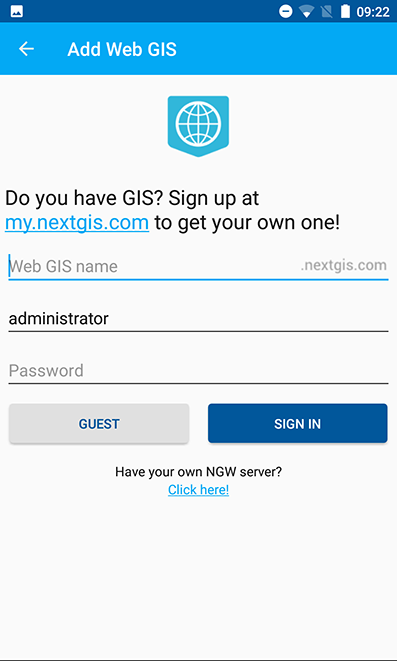 If you want to keep your data on your own NextGIS Web server, tap “Add Web GIS” using either of the ways to create a new Web GIS (see above), follow the link at the bottom of the screen (see Pic. 3.88.) and use your account. 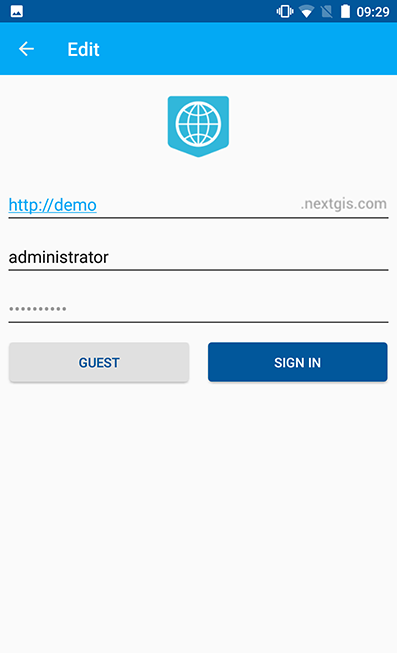 In opened dialogue fill up NextGIS Web URL, login and password in the form and tap “Sign in” button (see Pic. 3.89.). 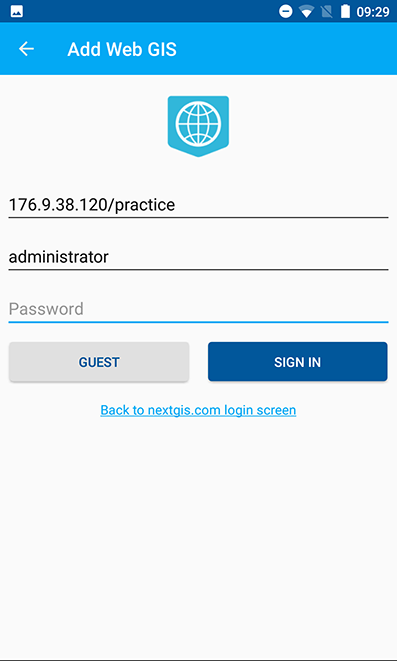 Login and password for NextGIS Web adding should be fiiled up without spaces! 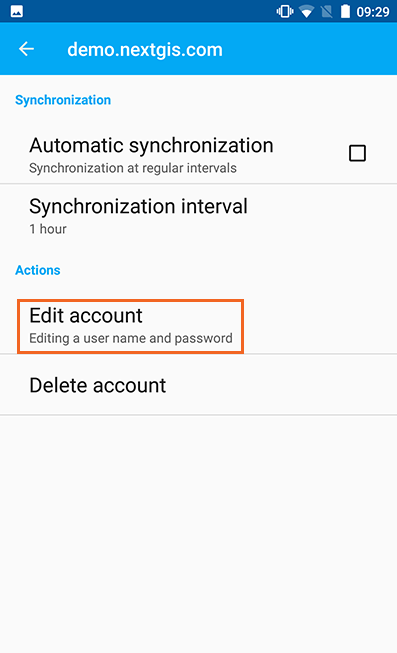 Many gadgets add a space at the end of the text during autosubstitution or pasting the text from the clipboard to the login/password, and NextGIS Web identifies this as another login or password and cancel the connection. 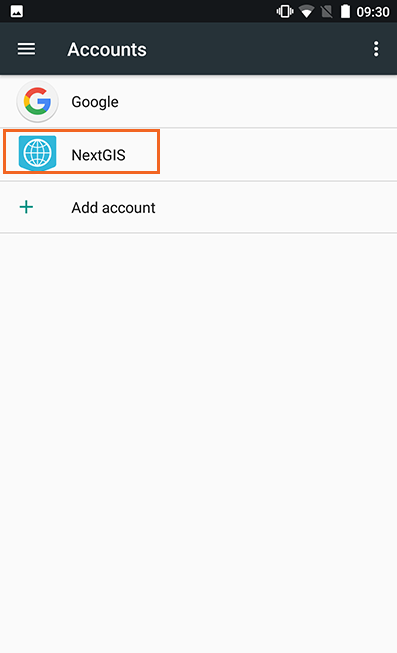 Select Web GIS account (Pic. 3.87.). In opened window select “Edit account” (see Pic. 3.90.). In opened window select “Delete account” (see Pic. 3.92.). Delete selected Web GIS account. In the case of successful deleting, the window with Web GIS selection will be opened without deleted Web GIS account. Open OS settings of the gadget. 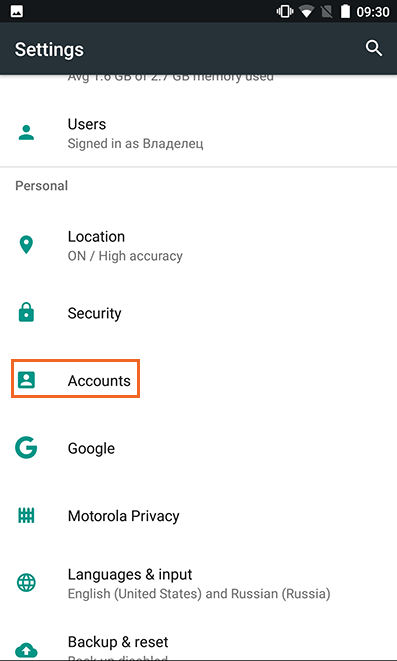 Select “Accounts” in settings (see Pic. 3.93.). Select the “NextGIS” account from the list(see Pic. 3.94.). In opened window select Web GIS account (see Pic. 3.95.). 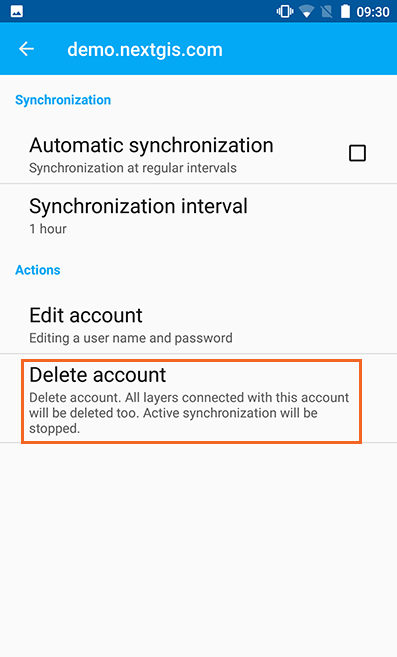 In opened “Sync” window tap contextual menu icon in the right upeper corner of the screen and select “Remove account” (see Pic. 3.96.). In opened dialogue select Web GIS (Pic. 3.83.). 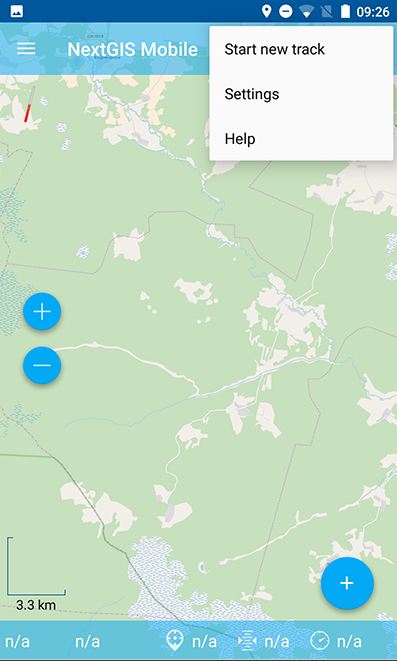 You can learn more about creating of Web GIS account in ngmobile_сreate_a_connection. In opened window you can see the list of internal resources and layers (vector and raster) for the selected Web GIS account (see Pic. 3.97.). Select a group of Web GIS resources and within it tick a layer (vector/raster) you want to add and tap “Add” (see Pic. 3.98.). 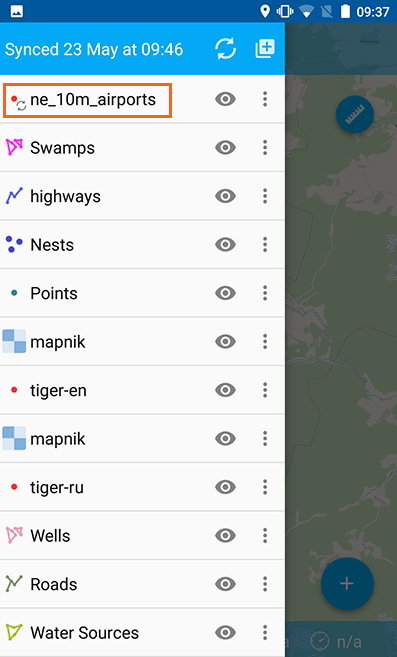 If you need to select several layers in different groups of Web GIS account, the tick of the layer selection will keep while you switching over the groups. Layer’s processing dialogue includes options “Cancel” and “Hide” (see Pic. 3.99.). 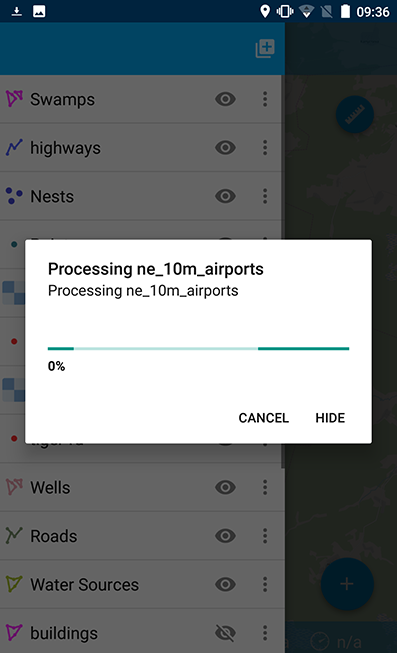 To stop Web GIS layer’s processing tap “Cancel” button. 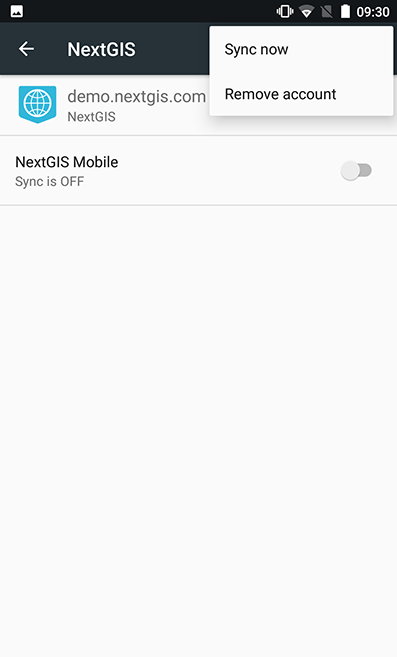 To avoid program’s interface blocking and to continue working with NextGIS Mobile tap “Hide” button. As a result Web GIS layers’s processing dialogue will be transfered to status panel (see Pic. 3.100.). To stop the processing of Web GIS layer, which was transfered to status panel touch the screen on the layer’s processing panel with thumb and forfinger and move them in different directions sliding along the screen. The indicator of the Web GIS layer’s processing will be transfered to status panel and the “Stop” button will appear. 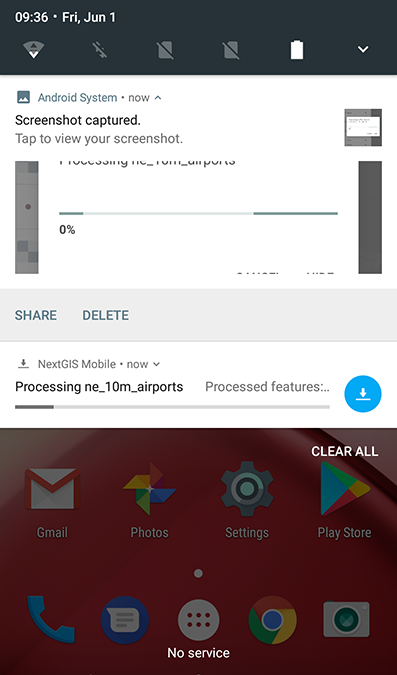 Tap it to stop the processing of Web GIS layer. 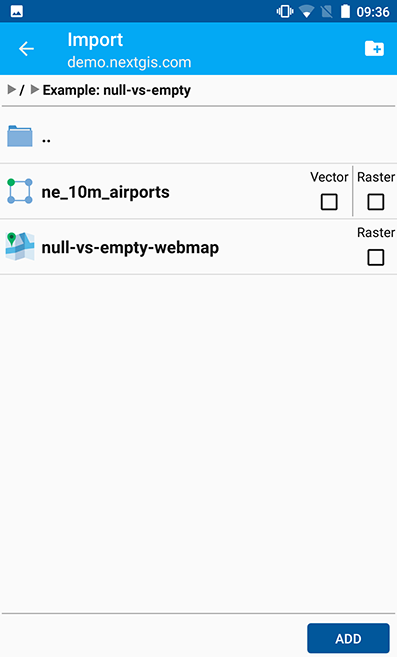 After you execute all above mentioned selected Web GIS layers (vector/raste) will be added to a map and will be shown up in the layers tree. 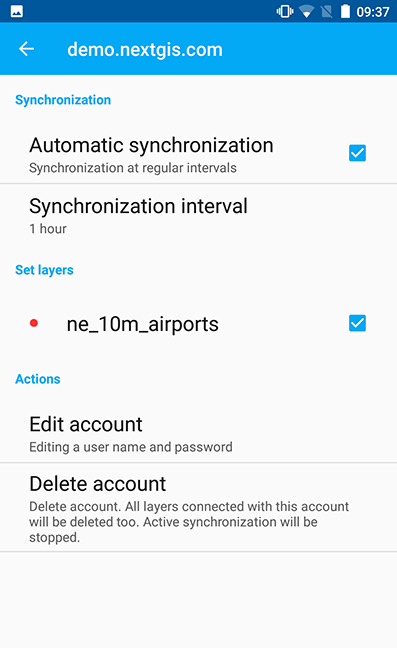 synchronization of the Web GIS layers.